The lawyers at Foley Law Firm are strongly committed to the people Scranton and their families. That's why we take their side when it comes to lawsuits involving serious auto accidents and collisions. Normal people need strong legal help when facing business interests, which is why we are here for them. While drunk drivers and people who speed are common culprits for serious accidents and injuries, sometimes auto makers are responsible for injuries. In some cases, air bags malfunctioning can lead to serious harm. 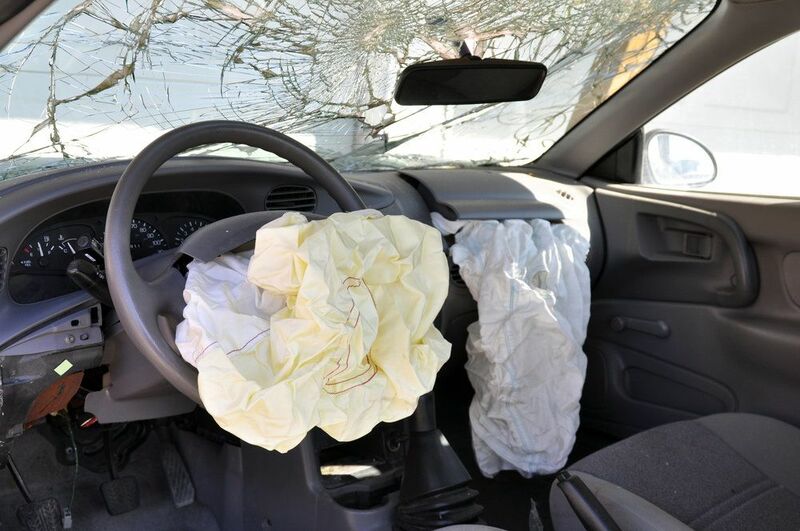 Defective air bags can lead to a number of dangers to motorists. We expect air bags to keep us safe and protect us from serious injuries during auto collisions. Yet there are times when air bags may fail to do their job, or they may cause serious injuries due to various flaws in design and deployment. Because of this, it is of the utmost importance that auto makers be held accountable for any issues related to defective air bags. Failure to Deploy – Sometimes an air bag may totally fail to deploy, meaning that it does not accomplish the task that it was designed to do. A driver or passenger may experience major injuries that would have been prevented had the air bag done its job. Unexpected Deployment – Perhaps the greatest kind of danger is sudden and unexpected deployment of an air bag, occurring without a collision. If this happens while driving, you might swerve or hit the brakes, which can lead to collisions with other vehicles or serious single-vehicle accidents. Bursting Air Bags – In some cases, air bags may burst upon deployment or impact, the result of being overinflated. This can lead to serious lacerations and soft tissue injuries, in addition to not providing sufficient protection from impact. Serious Abrasions and Burns – Chemical burns and abrasions from friction can be quite serious upon air bag deployment. Sometimes design concerns are a primary cause of these particular issues. When it comes to any issues with air bag deployment, it will be imperative to conduct an investigation of the circumstances of the collision, the damage to the vehicle, and the make and model of said vehicle. If it is found that an air bag defect led to an injury or contributed to the severity of an accident, it's important that the auto manufacturer be held accountable. This means filing a product liability lawsuit because of the defective safety feature and the dangers it posed from failure or improper function. These kinds of cases will involve seeking damages for injuries, lost wages, vehicle damage, and much more. Product liability lawsuits can be quite complicated, which is why it's so important to have a skilled attorney on your side. Auto makers will often have strong legal teams in place to combat any lawsuits that are brought to their attention. Our team will provide the kind of diligent and experienced legal representation necessary to take on major business interests. To learn more about your legal rights following a serious auto collision or an injury due to defective vehicles and parts, be sure to contact our team of attorneys today. The lawyers at Foley Law Firm look forward to your visit and discussing these matters in greater detail.